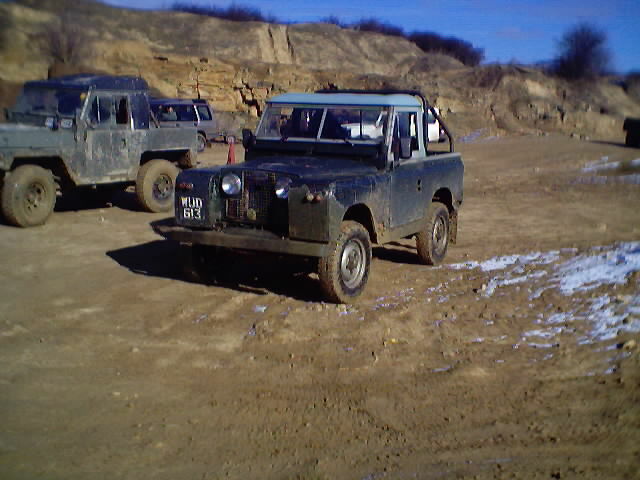 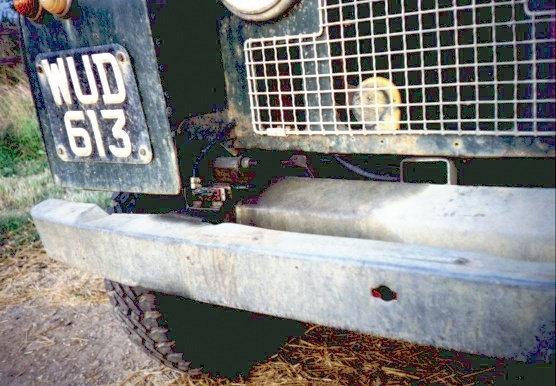 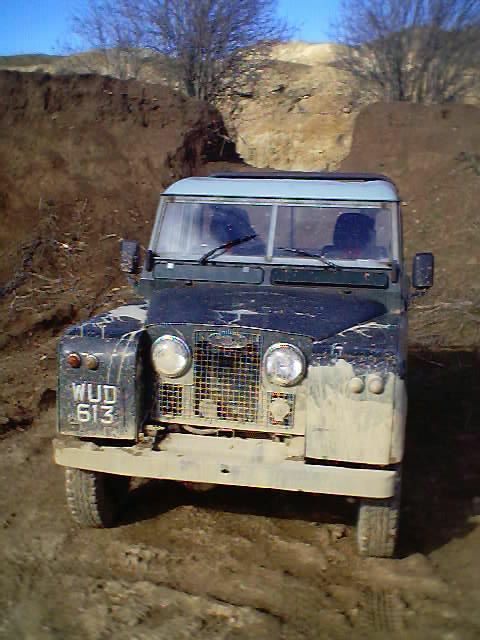 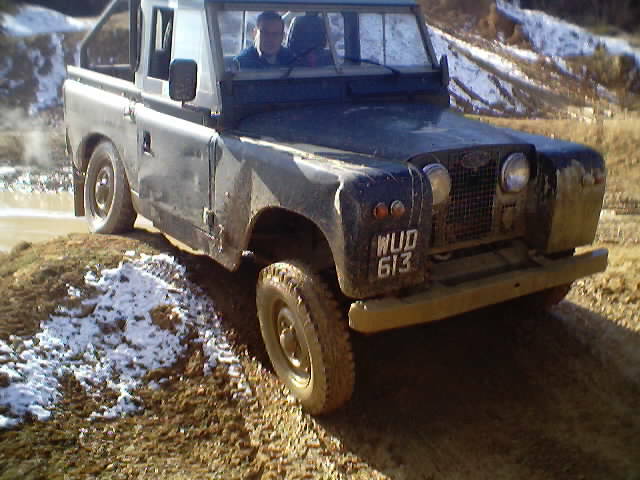 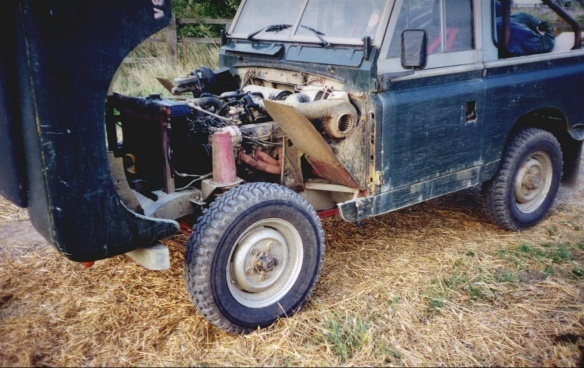 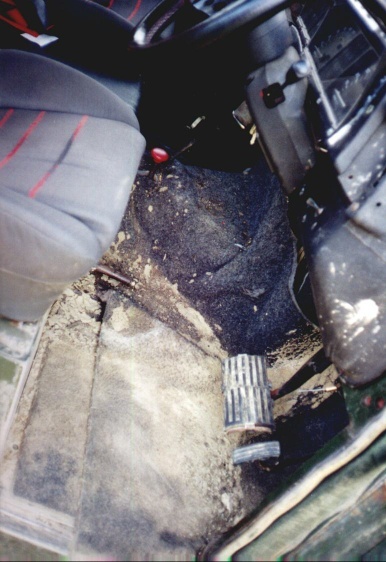 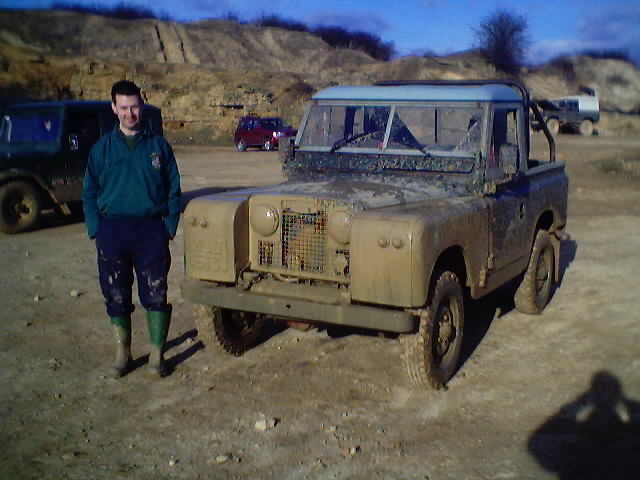 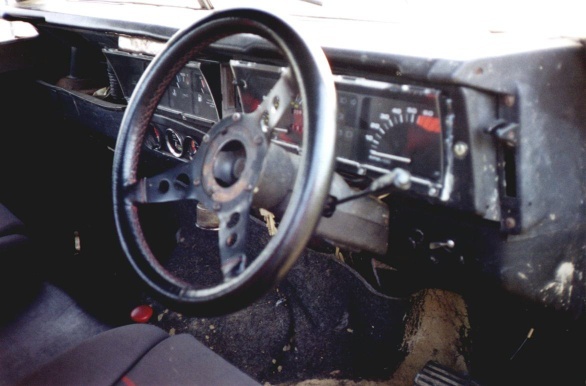 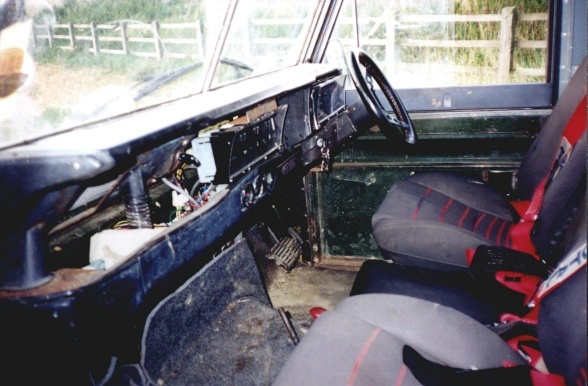 Here are some pictures of my Land Rover taken at Tixover Quarry near Stamford. 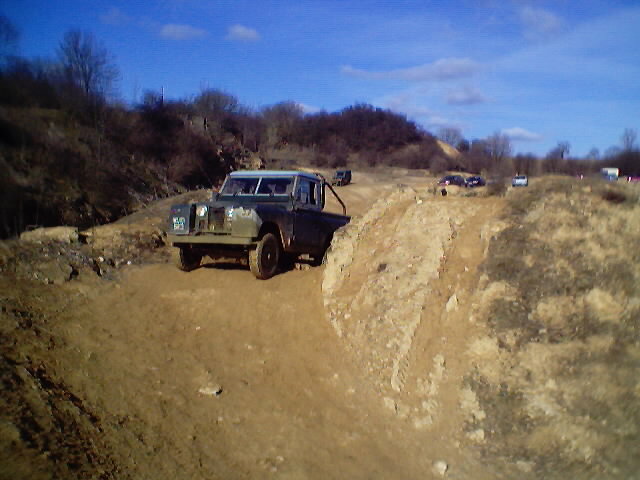 The local IAM held a four wheel drive day with the Four Wheel Drive Club. 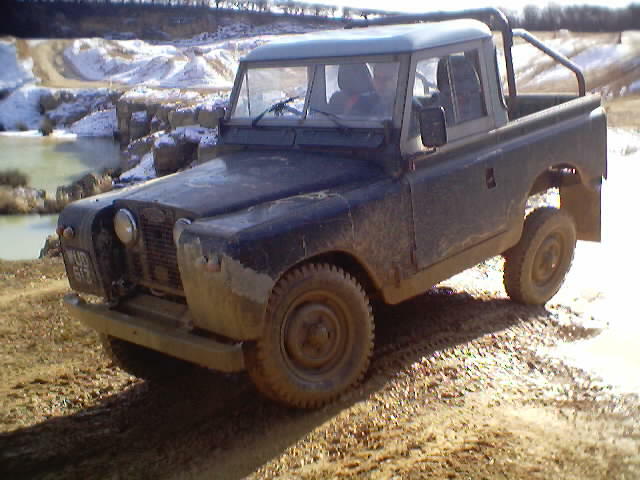 I went along and had a drive of my Landie. 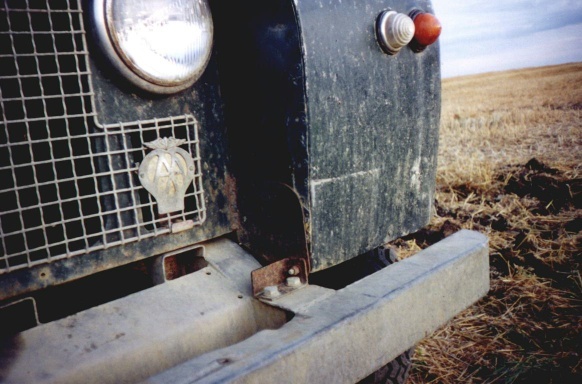 It seemed to hold its own very well against all the other machinery there. 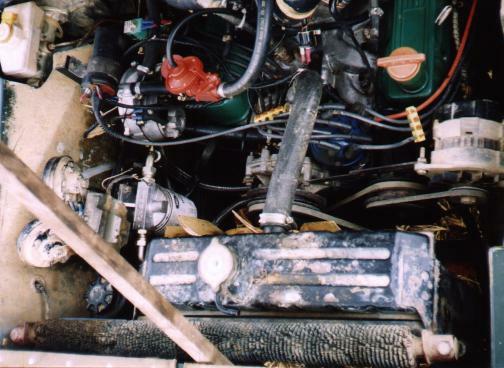 The only snag was too much powering through deep water caused the HT system to get wet and subsequently took a while to get it started again properly. 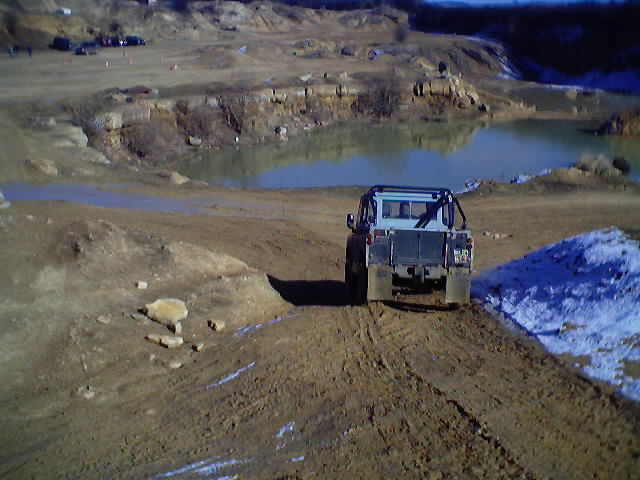 Coming over the crest of a hill. 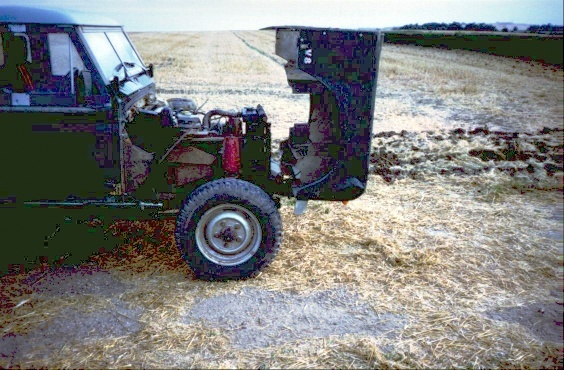 A movie of it is here (533K).